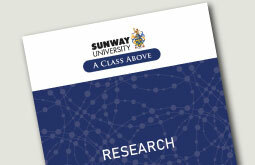 Sunway University is one of Malaysia’s leading private universities, which, unlike most others, is not-for-profit.  It is owned by the charitable Jeffrey Cheah Foundation, which is overseen by an eminent Board of Trustees. The University is managed by the Senior Management Group, led by the Vice-Chancellor and Chief Executive, Professor Graeme Wilkinson, and supported by the Deputy Vice-Chancellor and Provost. The University is governed by the Board of Directors comprising senior industrialists, academics, civil servants and educationists. 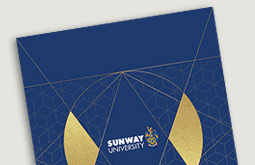 The Chairman of the Board is Tan Sri Dato’ Seri Dr Jeffrey Cheah, AO, Founder and Chairman of the Sunway Group of companies and the Chancellor of the University. The Chancellor is the figurehead of the University whose duties are primarily ceremonial. The academic governance of the University is through the Senate, which comprises the full professors and the senior academic managers. The powers of the Board and the Senate are described in the University’s Constitution. The Senior Management Group (SMG) of the University comprises the Vice-Chancellor and Chief Executive, the Deputy Vice-Chancellor, the Provost, the Director of University Services, the Head of Planning and Corporate Development and the Deans of Schools. The University is also supported by the Shared Services of the Sunway Education Group (SEG) which provide services such as HR, Finance, Student Support and Facilities Management. The SEG Heads of Service also support the SMG in delivering the University’s mission. The Vice-Chancellor and Chief Executive is Professor Graeme Wilkinson, a UK remote sensing scientist. The Board of Directors has the overall responsibility for setting the strategic direction of the University and appointing the Vice-Chancellor and Chief Executive, and other Senior Officers of the University. The Board also oversees the effective financial management of the University and has a key role to play in the selection of individuals for honorary degrees, among other high level responsibilities. The Board is chaired by the Chancellor, Tan Sri Dato’ Seri Dr Jeffrey Cheah, AO, the Founder and Chairman of Sunway Group. The Chancellor presides at the University’s Graduation Ceremonies and on other official occasions. He is supported in his ceremonial duties by four Pro-Chancellors who are also Board members.